Details of the Congress program are now available from the Progam book or Abstract Book which can be viewed from the first page of this site. 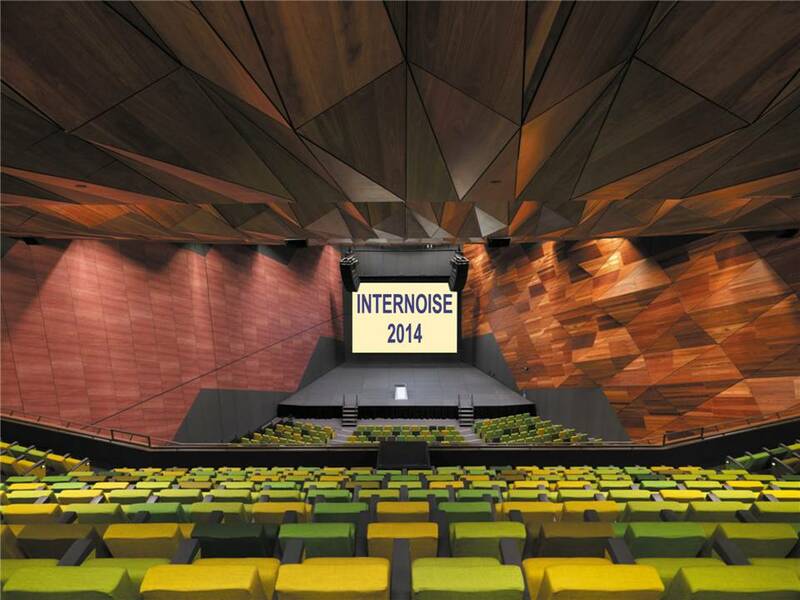 The Plenary Hall will be used for the General Assembly of I-INCE, starting at 13.00 on Sunday, 16 November. It will also be the venue for the Congress opening ceremony 16.00 and for the afternoon closing ceremony on Wednesday 19th. Both plenary lectures and some of the keynote lectures will also take place in this hall. Starting on Monday, the parallel streams of technical sessions will take place in adjacent rooms on the second level of the centre. This can be reached from the main foyer by escalators or a lift. The display of poster papers will be held on the ground floor foyer just outside the Plenary lecture hall. State-of-the-art audio visual and information technology is installed in every conference room while an “intelligent lectern” controls the room’s lighting, sound and data projection. Presenters will be required to up-load their presentations well in advance of their session time. A speakers room will be available adjacent to the lecture rooms. Details of these arrangements will be provided closer to the Congress. An extensive exhibition will be located on the ground floor, in a large hall adjacent to the foyer area, starting at 10.00 on Monday, Morning and afternoon refreshments as well as the light lunch included as part of the registration, will be available in the exhibition area on Monday, Tuesday and Wednesday. Registration will commence at 8.00 on Sunday morning from desks set-up opposite the Plenary Hall in the main foyer and adjacent to where the exhibition will be located from Monday. There will also be an inquiry desk available to provide assistance with maps and other local questions. The latter facility will be open until near the close of the Congress.